Tamron has unveiled the release date of the SP AF60mm F/2 Di II macro lens, which we wrote about a few weeks ago. The Canon version of the lens will be released on 25 June in Japan, with the Nikon and Sony variants coming soon. The main features of the lens include 1:1 magnification, maximum aperture of f2, diagonal angle of view of 26 degreens and 11 minutes and a minimum focusing distance of 23cm. The lens is constructed of 14 elements in 10 groups, has 7 diaphragm blades and a filter diameter of 55mm. Other highlights include an internal focusing system, full-time manual control and a body mass of onnly 390 grams. Note that this lens is not meant to be used on full-frame DSLRs and 35mm film SLRs, because its imaging circle is smaller than that required to cover these formats.
? (*1)? 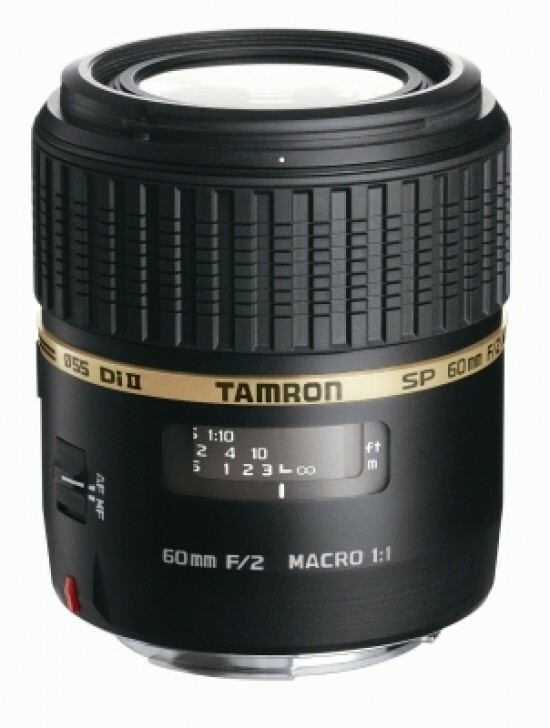 Tamron’s conversion value is 1.55X.
? * ? Life-size: For digital cameras, this means that the lens is able to project onto the image sensor (which corresponds to film in a film camera) an image of an object that is the same size as the object itself.
? * ? Di II lenses are designed exclusively for use with digital SLR cameras equipped with APS-C size image sensors and employ an optical system optimized for the characteristics of those digital cameras. Di II lenses are not designed for use with 35mm film cameras or digital SLR cameras with image sensors larger than 24 x 16mm.
? * ? The special note “APS-C size equivalent” is hereinafter omitted.